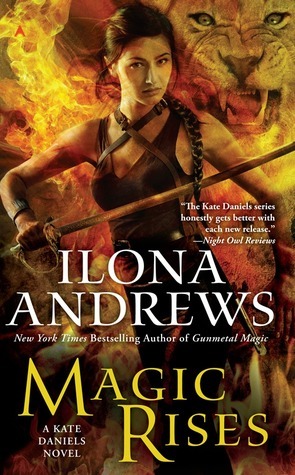 In Book 5 of the series (they all have super-similar names, so I can never remember them by name and have to just refer to them by number, but #5 was Magic Slays), Kate winds up using a spell on her ward Julie to cure her from a fatal disease but the cure has the side effect of enslaving Julie to Kate’s command. I rubbed my face. He was right. If Julie got as much as a hint that she had no choice about obeying me, I’d lose her. The most natural things like, “No, you can’t go out to the woods with Maddie in the middle of the night” now would have to become, “I would strongly prefer that you stay at home.” I had a hard enough time steering her as it was. So there was this whole big set up for this problem in Kate and Julie’s relationship but then this book just ignores it. I suppose there’s some small wiggle room to argue that these aren’t orders, per se, but they are still structured as command statements. Julie not noticing and not being forced to obey seems to be using a really loose definition of “order”, which seems odd given the origin of the spell in question. I would have preferred it if Ilona Andrews had given this the same kind of thought that, say, Gail Carson Levine did in Ella Enchanted or that Patricia Briggs did in either Iron Kissed or Frost Burned. But, well, this is just the first chapter, so maybe there will be more explanation in the later chapters. Or less interaction between Kate and Julie. Anyway, despite my gripe, I am still very much looking forward to Magic Rises. Things are definitely happening! This entry was posted in Fantasy and tagged Ilona Andrews, Kate Daniels, lois mcmaster bujold, Megan Whalen Turner, Patricia Briggs, Robin McKinley. Rebecca is being shy about this, but I would like to commend her for taking the next step in the stalking progression: she did in fact email Ilona Andrews about her concerns. Ilona Andrews replied that adding “please” to a statement makes it a request, not an order, but I think all of us who have parents, teachers, and supervisors know that is simply not true. I feel like Levine did such an amazing job of exploring this issue on the very short Ella Enchanted that I’m not cutting Ilona Andrews any slack for not exploring it in their much longer novel, which, of course, I haven’t actually read yet, so perhaps I’ll hold on to my criticism until I’ve actually read it.